Intercultural Open University Foundation (IOUF), an international non-profit university which offers accredited programs in association with Universidad Azteca and Universidad Central de Nicaragua (UCN) extended its support for preserving delta region in Myanmar. Towards its commitment to improve the world environment, the IOUF made donations to Dr. Bremley Lyngdoh, founder of the Worldview Impact Foundation, to support his 2nd Sohra Marathon in his homeland of Meghalaya. Dr. Lyngdoh is running to launch the global campaign to support the Thor Heyerdahl Climate Park in the delta region of Myanmar. Dr. Bremley Lyngdoh and the Worldview Impact Foundation are working in partnership with the Myanmar Ministry of Environmental Conservation and Forestry to preserve and improve the climatic conditions in the region. The Myanmar government is providing land for new plantations which can mitigate up to 500 million tons of CO2. Each Mangrove tree mitigates up to 5 times more CO2 than the rainforest trees. 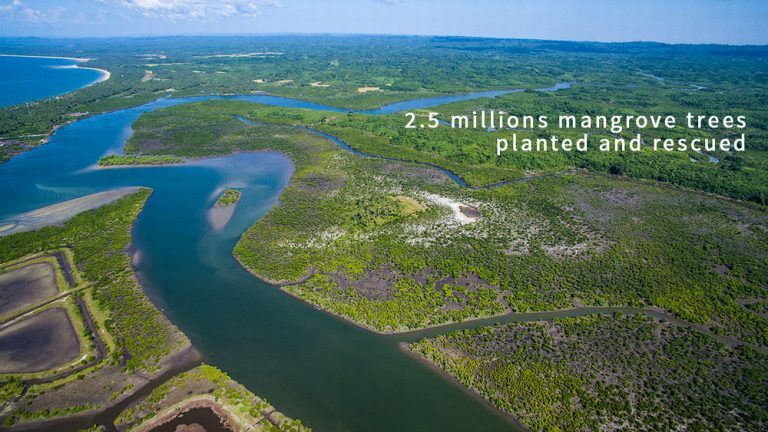 Mangroves reverse the devastating effects of destructed natural mangrove forests. The trees provide up to 50% more sea food with better and secured environment. Mangrove trees also filter and clean the water, securing environment for sea grass and coral reefs. The trees Generate cooling effect with up to 60,000 BTU per tree. Such forests Create high value-added livelihood opportunities to disadvantaged coastal communities by reducing poverty, especially among women and children. Such plantations will Save lives and improve quality of the environment for millions of people in adaptation to climate change. IOUF will have tagged trees in honour of its contributions.